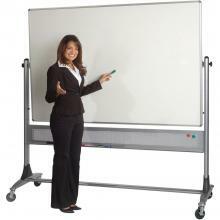 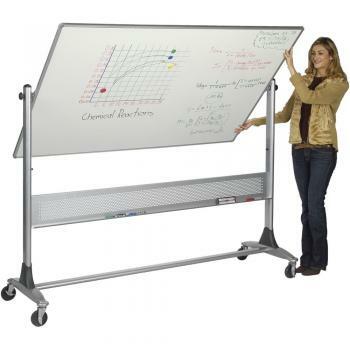 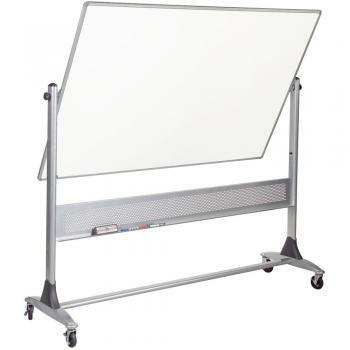 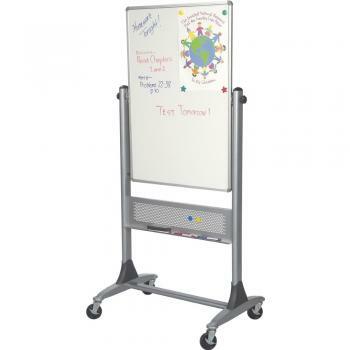 Reversible Rolling Dry Erase Board! 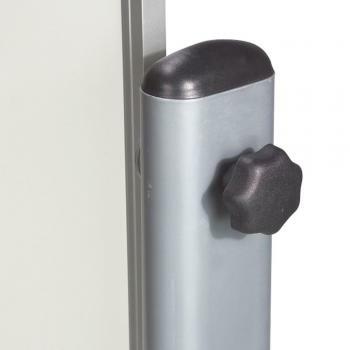 This Reversible dry erase board rotates 360 degrees and locks into place. 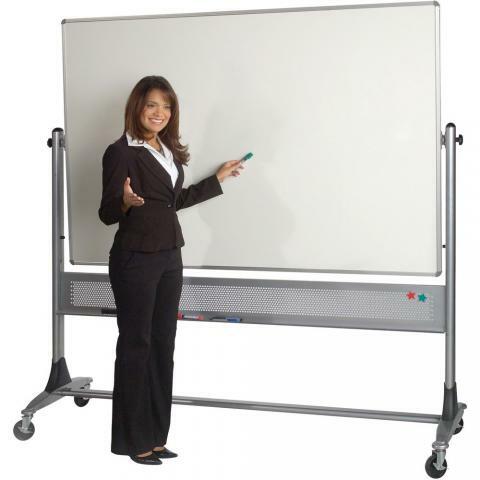 The high pressure laminate dry erase board surface (20 year guarantee) sits on a rolling wide based frame made of durable anodized aluminum. 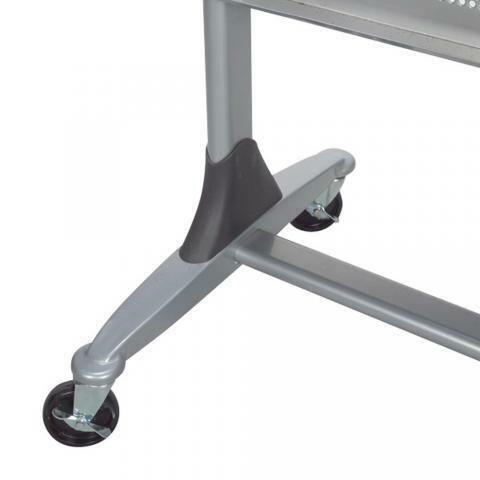 A full length dry erase accessory tray is included. Choose your reversible board size.